The belief that with hard work, prosperity and success are open to everyone, is at the heart of our national identity. Yet, according to today’s guest, Robert Putnam, the gap between those who have the chance to forge a better future, and those who are being left behind, is getting wider. As a result “our kids,” America’s poorest among them, are experiencing a transformation of American society that comes at a cost to every one of us. 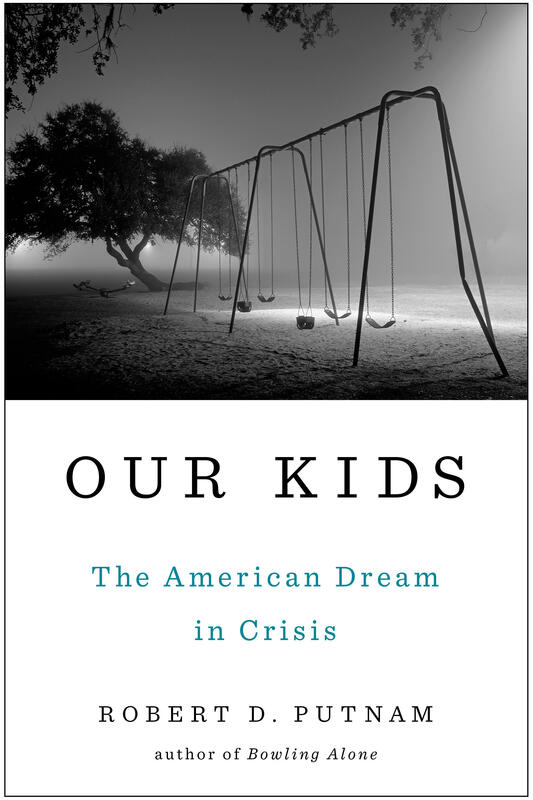 Putnam is the author of a recent book titled Our Kids: The American Dream in Crisis. Through stories and statistics, Our Kids documents the divergent opportunities available to rich and poor children, and how these disparities are reshaping our nation’s culture and future. Robert Putnam is the Malkin Professor of Public Policy at Harvard University. He is the author of 14 books, including the bestseller, Bowling Alone: The Collapse and Revival of American Community. Mr. Putnam’s influential books and research have garnered national and international recognition. He has consulted with Presidents Clinton, Bush and Obama, as well as with national leaders from Britain, Germany, Australia, and other countries around the world. In 2012, he received the National Humanities Medal, the nation’s highest honor for contributions to the humanities. The Annie E. Casey Foundation this week released its annual Kids Count Data Book, which examines children’s well being across the country. The 2015 numbers show Idaho continues to lag in pre-school offerings. Nearly 70 percent of children don’t attend school until kindergarten. That’s something that concerns Idaho Kids Count Director Lauren Necochea. Boise State University’s Andrus Center for Public Policy and the University of Idaho’s McClure Center for Public Policy have teamed up to host a conference on early childhood education in Idaho. It’s Monday at Garden City’s Riverside Hotel.